About This Report Our Annual Report provides an overview of the work of the AIRE Centre undertook from November 2013 until the end of 2014. It gives an overview of our programmes, key cases we have been involved at both the domestic and European levels and the partnerships we have developed. Financial figures are also provided. We want to extend a special thanks to our funders, individual donors and the pro bono lawyers who help us to continue our vital work through their support. The AIRE Centre Advice Line is open Monday through Friday from 10:00 AM until 6:00 PM. We do not have the facilities to meet clients at the above address. Please send an email or call the advice line for any information you might need. MESSAGE FROM THE DIRECTOR 2014 unfortunately saw a significant increase in the incidence of the rights of the most marginalised and vulnerable members of our European society being disregarded by Governments, including the UK’s, either consciously or through ignorance of the law it is their duty to uphold. 2014 was a busy year. We continue to litigate a significant number of cases before the European Court of Human Rights and also to respond to an ever increasing number of requests for advice. The increased demand for the services we offer was the consequence of The AIRE Centre’s higher profile, which was in turn triggered by the number of successes we had before the European and domestic Courts, training to NGOs and lawyers, and through our responses to various consultations including the Modern Slavery Bill. However, the most important factor contributing to the growth of our work in 2014 was that there were simply more people whose problems needed solving and less service providers able to offer access to justice. The civil legal aid changes in the Legal Aid, Sentencing and Punishment of Offenders (LASPO) Act 2012 have also continued to destabilise and reduce the advice and legal support sector at a time of increased need. Advice on immigration and welfare benefits now falls outside of the scope of public funding. All this means that in terms of our advice and domestic litigation, the public are increasingly reliant on the diminishing number of organisations like The AIRE Centre, who provide free and independent advice and pro bono litigation. In 2014, we advanced on many fronts. Some of these were highly visible: our litigation successes before the European Court of Human Rights, in cases such as Tarakhel v Switzerland, attracted attention across Europe. No less important, if less high profile, was the work of our advice service, which enabled hundreds of individuals to understand and assert their rights. In addition, our ‘second-tier’ advice work enabled other advisers to help the clients whose cases they brought to us. It also transferred knowledge and skills so that, as they have told us, they better understand the problems of subsequent clients, thanks to having worked with us. The lawyers who learnt their skills as interns in our office in 2014 will be able to go on as solicitors, barristers or in other careers, to put this experience to work in assisting vulnerable individuals in 2015 and beyond. The training we delivered to NGOs, local authorities, funders, and others helped to make the obligations of Governments under European law clearer and to dispel the illusion that the way things were being done was either satisfactory or appropriate. In 2014 The AIRE Centre sought, and was fortunate enough to receive, a number of grants from charitable foundations in response to requests for support. This financial backing covers both the ongoing and escalating costs of our existing work and increases our capacity to meet the greater level of demand for our services. And yet, the demand for the Centre’s legal advice and services still continues to outstrip our resources. As we expand the capacity of our partner organisations and other lawyers, we must continue to expand our own. This will be a sustained focus in 2015 as it was in the 2013 – 2014 year. What We Do The AIRE Centre makes sure the most vulnerable and marginalised people are treated fairly and are protected by European law. We defend migrants’ rights by providing free legal advice and representation, and support practitioners and decision makers, at every level, to apply European law fairly and correctly. Violence against women is a major concern across Europe. One in three women report some form of physical or sexual abuse. When victims of domestic violence are finally able to leave an abusive partner, they are often forced to flee in unplanned and urgent circumstances. This makes it impossible for them to adequately retrieve appropriate documents and belongings. Strained relationships also mean that abusive spouses rarely cooperate with their vulnerable partners. Though this difficult and potentially dangerous situation is widely acknowledged, lack of documentation is a common reason victims of domestic violence are refused immigration status, access to social assistance and social security benefits by the UK authorities. When leaving an abusive relationship, if a woman needs shelter, she is often required to make a financial contribution towards this. This could be through her own funds or through social assistance and benefits, like the Housing Benefit or Income Support. A key barrier to this support is the right to reside test. In order to get state support EU migrants exercising their free movement rights must show that they are ‘habitually resident’, simply meaning that they live in the UK, and also that they have a right to reside. In some of the most violent and abusive relationships, partners often forbid women from working, or their injuries are so severe they are unable to work. Unfortunately, failure to work is then used as a reason to fail the right to reside test and another justification for refusing access to social assistance. In our work with victims of domestic violence we have found that once they are refused social assistance, many women face the impossible decision of having to choose between remaining with a violent partner or ending up destitute and homeless. They are trapped. Looking ahead We have made some great progress in the protection of victim’s rights in domestic violence cases. But there is still a lot left to do. 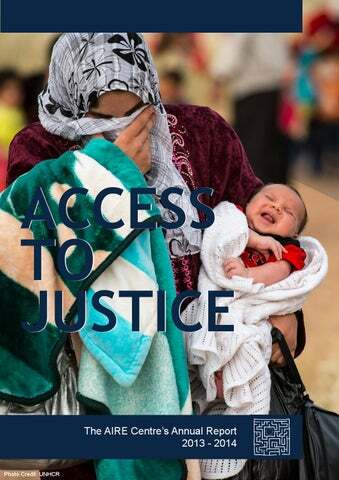 Providing free legal assistance to vulnerable and marginalised migrant women is ever more important in the face of continued cuts to legal aid and the closing of many legal advice providers. We will continue to work to ensure that even victims who do not have the benefit of legal representation or assistance are able to fight for their rights. These are basic rights which result in women, and often their young children, being able to access safe and secure housing, social, psychological and other support and the opportunity to ultimately rebuild their lives. Sylvia, a 32 year old Brazilian woman, was severely beaten by her Italian husband. Frightened for her life, she fled from home in the middle of the night. Latin American Women’s Aid (LAWA) provided her with the shelter, care and psychological support she needed, but the UK authorities said that Sylvia’s lack of proof about her husband’s work over the past five years meant she had not established that she had a right to remain in the UK. Sylvia had no family, friends, job prospects or support network in Brazil and was desperate to stay in the UK where she had made a life for herself. She was too scared of her ex-husband to ask him for the relevant documents that would allow her to stay. This is when we got involved. Through careful advocacy on the correct application of European law, we were able to show that Sylvia’s residence rights in the UK could not be denied simply because she was unable to provide the required documentation. One of our lawyers accompanied Sylvia to her hearing in the Immigration Tribunal and successfully advocated for Sylvia to be granted a permanent residence card. Sylvia now feels safe, protected from her ex-husband and secure in knowing she can remain in the UK and start a new life. With generous support from the Esmée Fairburn Foundation we have been able to help women who have faced serious abuse break ties with their abusers and take a step closer to rebuilding their lives. We work closely with individuals fleeing domestic violence. Very often these are vulnerable European Economic Area (EEA) migrants or family members of EEA nationals, who find themselves further marginalised, unsure of their right to remain in the UK or unable to access social assistance, following the breakdown of their marriage. The Council of Europe has declared that a key priority in their political agenda will be the campaign against violence against women. On 1 August 2014 the Council of Europe Convention on Preventing and Combating Violence against Women and Domestic Violence (known as the Istanbul Convention) came into force. We believe the UK must ratify the Istanbul Convention, as failure to do so could seriously harm the UK’s international reputation as an advocate for women’s rights. The Joint Committee on Human Rights has also been considering the issue. We submitted written evidence to the Committee on the UK’s obligations towards victims under European Union law and the European Convention on Human Rights, advocating for more concrete mechanisms to be put in place to ensure the principle aims of the Convention are met. Between 2013 and 2014 we provided free legal advice to over 100 victims of domestic violence. Through our frontline work with these women, we identified the following key issues, which persist in relation to women victims of violence in the UK: Lack of access to adequate financial assistance and support for EEA national victims of domestic violence Uncertain immigration provision for third country national durable partners of EEA nationals whose relationship breaks down due to violence The Report of the Fundamental Rights Agency of 2014 notes that violence against women remains “an extensive human rights abuse” across Europe. We advocate for a more victim-centred approach to be adopted towards all victims of gender based violence. We believe that it is crucial that women are legally entitled to safe and secure accommodation and that they are provided with all necessary support and assistance in accordance with the Istanbul Convention. We continue to be involved as a third party intervener in the case NA (Pakistan) before the Court of Appeal. NA is a Pakistani national who was married to a German national. They lived together in the UK. Throughout her marriage, NA was subjected to domestic violence and abuse. After one particularly terrible incident, with determination and courage, and the help of the police, she fled the family home. Together with her children she lived in a refuge. Shortly thereafter her husband left the UK and obtained an Islamic divorce, without the knowledge of NA. NA would have been entitled to retain a right of residence in the UK independent of her husband under EU free movement rules had it not been for the fact that her husband had unilaterally divorced her while outside of the UK and without her knowledge. This case highlighted an inconsistency between the EU Free Movement Directive and the UK implementing Regulations. The Court of Appeal has indicated that it will be referring the case to the European Court of Justice for its decision on the legality of the approach taken by the UK authorities. We frequently see similar cases where vulnerable victims of domestic violence remain open to further abusive acts due to the way the UK has implemented the domestic violence provision contained in the Directive and this case could therefore lead to a landmark judgment affecting a large number of victims. Trafficking is a form of modern day slavery. Victims are brought to the UK, held against their will and forced to work. Article 4 of the European Convention on Human Rights says that no one should be subjected to slavery or forced labour. Unfortunately, the reality is very different. Every year an estimated 2.4 million people are trafficked globally. It is the world’s second most profitable crime. JB was a young Nigerian girl who was trafficked to Italy when she was only a child. When in Genoa she was forced by her traffickers to become a prostitute. In the UK trafficking remains a largely hidden crime with few victims coming to the attention of authorities. Last year officials figures estimate over 2,000 victims were found in the UK, but experts believe the real numbers to be much higher. 30% of victims are trafficked for sexual exploitation and, of that number, 80% are female children. JB escaped from her captors and fled to Milan, where she asked for asylum. Unfortunately her application was rejected and she had to return to Nigeria. With the support of The Esmèe Fairburn Foundation, the Prevention of and Fight against Crime Programme of the European Union, Comic Relief and the European Programme for Integration and Migration (EPIM), we have been able to significantly expand our ability to provide advice and representation for victims of trafficking and their representatives and engage with this issue at the policy level, both nationally and at the European level. Trafficking from Nigeria to Europe is a huge problem. Estimates suggest that there are approximately 10,000 Nigerian prostitutes working in Italy alone. JB was from the State of Edo. In the capital Benin City, research shows that one in three young women receive offers to go to Europe. Young women are often enticed by traffickers with the promises of good jobs in Europe, but once they arrive are forced into prostitution to repay the debt their traffickers claim they accumulated during travel. Looking ahead The Modern Slavery Act was enacted on 26 March 2015. Underpinned by the advocacy and campaign work of a number of NGOs and other stakeholders, we welcome the fact that the Act now includes many victim centred measures which were totally absent from the original draft Bill, including a statutory defence for victims, scope for legal guardians for children and an improved National Referral Mechanism and provision for legal aid. However some of the crucial victim protections confer a broad discretion for the Secretary of State to flesh out regulations and guidance, coupled with the inclusion of a badly watered down provision for overseas domestic workers to leave exploitative employers and move on with their lives. There is still a huge amount of work needed to ensure that victims receive the protection and support to which they are entitled. When JB’s asylum application was refused and she returned to Nigeria, she fell victim to trafficking again. As a young child she was vulnerable and afraid. This time she was trafficked to the UK. Astonishingly and showing great courage, she escaped from the sexual exploitation and asked the UK authorities for asylum. The UK wanted to return JB to Italy, hoping to rely on the European asylum rules that determine which Member State is responsible for asylum when a person makes an application. The AIRE Centre intervened. We helped to show that if JB was returned to Italy she would be at risk from her traffickers and would be forced into prostitution again. We also helped to show that if she returned to Nigeria she would face persecution there as well. These outcomes would be a breach of Article 4 of the European Convention on Human Rights, a breach of JB’s right to protection against slavery and forced labour. 9 What We Do Early Legal Intervention The protection of victims of trafficking is at the centre of our work. Through sharing of best practice with our partner organisations, the Early Legal Intervention project advocates for the protection of victims of trafficking by ensuring that member states and the EU properly respond to their needs. We believe that by strengthening cooperation between states and civil society, at both the national and international levels, we will be able to better uphold victims’ rights. We want to make sure that victims receive support in their role as witnesses against traffickers and that their right to receive an adequate recovery period, where they can speak to counsellors and access social assistance, is respected. In order to get a pan-European perspective on the legal needs of victims of trafficking we work closely with the Immigrant Council of Ireland (Ireland), LSA (Legal Services Agency, Scotland), MONIKA (Multicultural Women’s Association, Finland), BGRF (Bulgarian Gender Research Foundation, Bulgaria), and KSPSC (Klaipeda Social and Psychological Service Centre, Lithuania). In the past year we took part in events in Dublin and Brussels, and hosted a roundtable event in London, where a panel of experts considered the benefits and practical obstacles to implementing a successful model for early and effective legal intervention for victims of trafficking. Our findings were published in a preliminary report and we spoke at the Sweet & Maxwell annual Human Rights Conference on legal developments in this area. Modern Slavery Bill The Modern Slavery Bill (now the Modern Slavery Act, enacted 26 March 2015) is the government’s attempt to implement the Council of Europe’s anti-trafficking Convention and the EU anti-trafficking Directive, which introduced common provisions to strengthen the prevention of trafficking and the protection of victims. Though this effort is commendable, our work with victims of trafficking demonstrates the need for more awareness on how to identify victims, and the conflict of interest that arises when the Home Office – the department responsible for immigration control – is also the one in charge of identifying victims. In April of last year the Parliamentary Joint Select Committee on Human Rights, urged the Government to look again at their proposed legislation in order for it to be simpler, stronger and far more focused on victims if the UK were to tackle the “heinous crime” of slavery. Through submissions to the Committee, we have voiced our strong concerns about the general focus upon the prosecution of trafficking offences over the protection of victims. The Modern Slavery Bill should not simply be about implementing European standards. It must be an acknowledgement that victims of trafficking need protection and an effort to repair the horrific experiences that survivors of this crime have suffered. Following our holistic approach we also: »» provide free specialist legal advice on European law to EU victims of trafficking on issues related to: »» a right to residence permit social »» assistance and social security »» free movement & immigration generally »» push for the proper implementation of EU Directive 2011/36 by the United Kingdom courts, tribunals and authorities through strategic litigation and enhanced communication with the ‘Competent Authorities’ (i.e. UKBA and UKHTC) »» provide legal representation, act as third-party interveners and strategically litigate cases involving trafficking and Article 4 before the European Court of Human Rights »» are an NGO member of the EU Anti-Trafficking Platform set up by the EU Anti-Trafficking Coordinator, Myria Vassiliadou »» engage in trainings, policy work and awareness raising. Sustainable solutions to poverty and inequality EU citizens make up a third of Londonâ&#x20AC;&#x2122;s rough-sleeping population. Migrants who are homeless are particularly vulnerable and it is important for them to receive advice and support as soon as possible. Unfortunately, cuts to legal aid and the closure of many legal advice providers for migrants and asylum seekers in the UK, has left tens of thousands without access to adequate legal advice and representation. Limited accommodation options, complicated regulations governing EU migrantsâ&#x20AC;&#x2122; rights to social assistance and welfare benefits and the fact that rough-sleeping is still a criminal offence, means that this complex process is made even more difficult. With generous support from Trust for London, we are undertaking a three year project, Combatting EU Migrant Homelessness in London, to reduce the number of homeless Londoners who come from other EU Member States. We do this in a number of ways. First, we work to make it easier for homeless EU migrants in London to access to the benefits and housing to which they are entitled. Second, through publications, trainings and engaging with the media we want to raise awareness of the legal rights of EU migrants in London who are facing poverty. Finally, we work to decrease the number of systemic practices and policies that prevent homeless EU migrants in London from accessing the support that they are actually entitled to. Our unique expertise in this area of law enables us to provide legal advice and casework, and engage on the policy level, to achieve sustainable solutions to the problems of poverty and inequality which often underpin homelessness. Looking ahead Inspired by our success in the tribunals and courts and the huge demand for our training sessions we are keen to continue this important work with migrants who are homeless and organisations that work closely with them. In 2015 we are hosting our first-ever national conference on homelessness, Unwelcome: Homeless EU Migrants, the Law, Rights and Challenges, which will bring together lawyers, academics and voluntary-sector organisations to share experiences and brainstorm ideas on the topic of EU migrants facing poverty. We have also been given permission to intervene in two more cases before the Supreme Court, concerning the question of whether an EEA citizen is eligible for assistance under Part VII of the Housing Act 1996 and certain other non-contributory benefits, on the basis that they are habitually resident in the UK. Since the start of the project in April 2013, we have responded to several requests for legal advice from EU migrants who are homeless and their representatives. We have provided representation in five cases before the First Tier and Upper Tribunals, two of which have so far resulted in positive decisions, meaning our clients were able to access much needed benefits which prevented them from becoming homeless. Mariana is a Brazilian national who had a long-term British national partner, Rich. Mariana and Rich first lived in Portugal, where Rich was working. Rich then found work in the UK and they moved together to Britain, where their son was born. Sadly, in 2011 Rich died. Mariana applied for Housing Benefit and Council Tax Benefit. But the local authority denied her this support. The local authority claimed that she and her young son, who was enrolled in a local school, did not have a right to reside in the UK. The young family was also facing eviction and Mariana was terrified of losing their home and having nowhere to live. So she got in touch with us. We represented Mariana and her son in a successful appeal at the First-tier Tribunal and the local authority accepted this decision. Mariana and her son were able to access Housing Benefit and Council Tax Benefit and were no longer threatened with poverty and homelessness. Fighting against discrimination Roma migrants in the UK live in a hostile environment – many are excluded from society, face racism and prejudice and are unable to access education, healthcare, housing, employment and social assistance. Often they are unaware of their rights as EU citizens. The UK does not have a sustainable Roma integration strategy and instead addresses the problems faced by Roma families in a fragmented and reactive way. The negative publicity, hate speech and criminalisation of Roma migrants became even more widespread when the employment restrictions on Romanian and Bulgarian citizens were lifted in January 2014. In response to this frustrating situation we launched our 3-year Roma Rights Project, funded by the Joseph Rowntree Charitable Trust. Looking ahead As we move forward we will work to combat the rising pan-European climate of racism and fear of ‘the other’. We will continue to work closely with communities, empowering Roma migrants and their advocates and ensure they understand their human rights and are able to use them to fight poverty, exclusion and discrimination. The participation and empowerment of Roma migrants and their advocates is central to this project. We work closely with community organisations like the Roma Support Group and the Roma community in Luton, strengthening their ability to advocate for Roma rights and building our links with migrant Roma communities throughout England. We want to make sure that our impact is bigger than each individual piece of advice so we can affect broader change across the UK. Following our holistic approach we: »» provide free specialist legal advice on European law and legal surgeries throughout the UK on: »» free movement & immigration »» access to social assistance »» provide legal representation and strategic litigation of cases with the potential to address systemic issues »» strengthen the capacity of other organisations through trainings and workshops »» respond to policy consultations and contribute to reports »» raise awareness of European law rights through publications, social media and press engagement In the last year we also contributed to two significant calls for evidence. In the Social Security Advisory Committee’s call for evidence on the Housing Benefit (Habitual Residence) Amendment Regulations 2014 we highlighted our concerns around the impact of these amendments on Roma EU migrants in vulnerable circumstances. We also responded to the Roma Support Group’s call for evidence on the impact of the recent changes to benefits on Roma migrants in the UK, which will be included in a report to the All Parliamentary Group for Gypsy, Roma & Travellers. Marko is a Slovakian Roma who came to the UK with his wife Eva and their child, to find a job and start a new life. Marko found a job quickly and Eva stayed at home to look after their young son. Sadly, 5 years on, Eva became seriously ill. Marko had to quit his job in order to take care of her. But when the family applied for social assistance benefits, they were denied. The authorities said that Eva was not eligible for employment and support allowance because she had never worked in the UK. The Roma Support Group, a London-based Roma-led organisation called The AIRE Centre looking for advice to help Marko and Eva and their little son. After looking at the family’s immigration and work history we helped Marko and his family prove that they had a right to reside in the UK. Marko took our advice to the Department of Works and Pensions and they reversed their decision. Marko and his family were then able to access the benefits they were entitled to all along. The Roma Support Group told us that our advice to Marko not only helped the family, but also helped the organisation better understand the rights of EU workers in the UK. They were then able to use it as guidance for many other Roma clients in similar circumstances. Helping those without a voice to fight for their rights What makes a migrant invisible? Free movement means that EU migrants are promised equal treatment when they live in another Member State. This could be an Italian national who wants to work in France. Or a British national who wants to enjoy their retirement in Spain. Sadly, for many Union Citizens, especially those who belong to racial and ethnic minority groups and those from new Member States in Central and Eastern Europe, reality does not live up to this promise. They are unlawfully refused benefits, residence documentation, healthcare, or access to the labour market. When their rights are ignored and they are refused access to basic support, many people find themselves in desperate situations, facing homelessness and poverty, and driven to the margins of society. They become invisible. In 2009 the European Commission found that no Member State was in full compliance with EU Directive 2004/38/EC, known as the ‘Citizens Directive’. This is a legal document that sets out the right of Union Citizens, to move freely within the EU and be treated equally. Not a single provision in the Citizen’s Directive had been properly implemented in every Member State. With help from the European Programme for Integration and Migration (EPIM) we launched our Invisible EU Migrants programme in 2011. We work to understand what happens to these invisible people and their family members when their rights are ignored, and help them to fight to assert them. Looking ahead As we move forward we are encouraged by our successes. We recently submitted our skeleton argument for our intervention in the pending Mirga and Samin Supreme Court appeals, which will be heard on 9 & 10 March 2015, and will expand upon the arguments we made in the Jessy Saint Prix case. We work closely with NGOs in the UK, Ireland and Belgium to broaden the policy response of European institutions in dealing with the problems of the most vulnerable and marginalised EU citizens trying to exercise their right to free movement. But what does this mean in practice? Following our holistic approach we: »» give free legal advice to migrants and those advising them »» represent vulnerable migrants in tribunals »» where we see there are larger problems, impacting groups of people, we undertake strategic litigation either representing clients or as third-party interveners, taking cases to the higher domestic courts, the European Court of Human Rights or the Court of Justice of the European Union »» train voluntary-sector organisations working with EU migrants to better understand the rights of invisible EU migrants and communicate their problems effectively to European institutions and local governments »» get involved at the policy level, speaking at conferences, publishing reports and influencing those who make the decisions to pay more attention to the problems of this group of vulnerable people 2014 saw a many successes under the Invisible EU Migrants programme. On the training front we brought together our project partners and experts in the field for an event in Brussels in May and another in London in November. We discussed recent developments and challenges to the rights of vulnerable migrants under EU law and both events were well received by attendees and the various stakeholders. We also chaired an event on homeless EEA nationals in Bergamo, where we shared our expertise in strategic litigation. We also celebrated a number of wins in difficult tribunal appeals that were finally accepted by the government bodies and local authorities, and positive outcomes at the Court of Justice of the European Union for longstanding strategic litigation work. This includes the case of Jessy Saint Prix – highlighted in our featured case section – where we represented a pregnant woman who was denied the status of ‘worker’ and was therefore unable to access state support. We also represented the client in C-140/12 MG v Secretary of State for the Home Department, where the Court decided that our client, MG, could not be deported under EU law. Jessy Saint Prix, a French national who came to the UK in 2006, worked as a teaching assistant for 11 months before finding a job in an nursery school. Jessy then became pregnant. When 6 months pregnant, Jessy found it was very difficult to continue in her job caring for nursery school children. She looked for other work that would be more suitable during pregnancy, but did not have any success. Jessy then made an application for income support. The Department for Work and Pensions rejected her application, saying that because Jessy had stopped working, she had lost her status as a ‘worker’ and therefore did not have a right to reside. Three months after her baby was born, Jessy went back to work. With our help Jessy appealed the decision of the DWP, going from the tribunal system all the way to the Court of Appeal. The Court of Appeal said it was okay that the Secretary of State rejected her claim and so the case was sent to the Court of Justice of the European Union (CJEU). The CJEU said that a woman who gives up work, or seeking work, because of the physical constraints of the late stages of pregnancy and the aftermath of childbirth, retains the status of ‘worker’ under EU law, provided that she returns to work or finds another job within a reasonable period after the birth of her child. The Court, highlighting the special protection EU law gives to women in connection with pregnancy and childbirth, said that Union Citizens would not be able to exercise their right to free movement if they risked losing their status as ‘worker’ simply because they became pregnant. Strengthening regional cooperation and law reform in the Western Balkans Over the past 15 years, we have worked in co-operation with national government institutions, international organisations and civil society organisations to implement a number of rule of law projects, and conduct training for judges and lawyers in the Western Balkans and other countries in Central and Eastern Europe. In 2014 we ran seven projects and a brief summary of each is included below. A full report is available separately in all regional languages. Our aim throughout these projects has been to better the national implementation of the European Convention on Human Rights and assist national courts to harmonise their judicial systems with the Convention principles. Better national implementation is in everyoneâ&#x20AC;&#x2122;s interest. For individuals it means they are able to have their rights upheld. For states it means they are able to avoid international embarrassment and the costs involved in losing cases. And for the European Court of Human Rights â&#x20AC;&#x201C; wrestling with a backlog of cases â&#x20AC;&#x201C; better understanding and implementation of judgments at the national level will consequently reduce its caseload. Promoting the implementation of the European Convention on Human Rights across the region Some of the countries in the Western Balkans region have exceptionally high numbers of cases before the European Court of Human Rights. Many of the cases are similar, indicating systemic problems in the regional legal systems. We work in partnership with governments to ensure that rights guaranteed under the European Convention on Human Rights are secured in practice, at the national level. Encouraging regional cooperation in strengthening the rule of law and respect for human rights Though we understand that individual countries have specific issues to deal with which are closely linked to their individual legal systems, we have found that there are a number of difficulties common to the region. We believe that by bringing together countries through regional events and joint activities we encourage regional cooperation and the sharing of best practice, we can collectively discover how best to strengthen the rule of law and respect for human rights. Assisting in the process of European integration All the countries we work with share a common ambition to join the European Union. Respect for human rights and the rule of law will be key to the success of the process. Ensuring the efficiency of the judiciary, independence and impartiality of the courts and that fundamental rights, such as liberty, security and due process are upheld, is integral to the process of EU integration of the region. We believe that it is through the proper application of the case law of the European Court of Human Rights that we can best secure respect for these rights and the pursuit of both efficiency and justice. Who supports us: We have been able to continue this important work through generous support from the UK Foreign and Commonwealth office via British Embassies in Podgorica, Sarajevo and Belgrade, the Council of Europe, the Organisation for Security and Co-operation in Europe (OSCE), the Friedrich Ebert Foundation, the Konrad Adenauer Foundation and the Open Society Institute. Looking ahead The Rule of Law Programme in the Western Balkans has been running for over a decade and a half already. Harmonising the judicial systems of the region with the Convention principles is a difficult task that takes time. We aim to have a long lasting and sustainable impact in the region. This is why our projects are designed to run over several years. Our Programme will continue to run its current projects in 2015 and 2016. With landmark events such as the Second Regional Rule of Law Forum held in Belgrade, Serbia in March 2015 and the final database launches carried in Albania and Kosovo in July 2015. Training seminars, publications and policy recommendations for the region will be further implemented. We are always looking for ways to improve and develop our projects in order to attain our regional objectives. We look forward to further collaboration with local partners, European Institutions and organisations, and civil society to establishing our work beyond 2020. 17 What We Do Rule of Law Forum for South East Europe In order to encourage co-operation between the countries in the region, together with Civil Rights Defenders, we organised the first Regional Rule of Law Forum. This is a platform through which we were able to meet our core aims. The first ever forum was held on 28 and 29 March 2014 in Budva, Montenegro, in cooperation with the Montenegrin Government. The Vice President of the Government of Montenegro, Minister of Justice, Dusko Markovic, and the President of the Supreme Court of Montenegro, Vesna Medinica, opened the event. Over 100 participants from the region attended, bringing together judges from the European Court of Human Rights in Strasbourg, the presidents and judges of the Supreme Courts and Constitutional Courts from the region, Directors of Judicial Training Academies, Government Agents before the Strasbourg Court, and representatives of NGOs and prominent legal experts in the field. Human Rights Database A ‘one-stop-shop’ portal of all European Court of Human Rights judgments, case summaries, relevant domestic jurisprudence and expert commentaries, our regional human rights database for the Western Balkans launched in 2014. Through the database we seek to provide a tool that will improve the application of the case law of the European Court of Human Rights in domestic courts across the Balkans and strengthen the ability of domestic institutions to raise awareness of the European Convention on Human Rights. In order to ensure that the Human Rights Database truly meets the needs of its beneficiaries, we developed the project in cooperation with European Court of Human Rights representatives from Albania, Bosnia and Herzegovina, Croatia, Macedonia, Montenegro and Serbia. The database is available in all local languages and can be accessed at www.ehrdatabase.org. Human Rights Bulletin Known as one of the most authoritative sources of human rights case law for the countries of South Eastern Europe, the Human Rights Bulletin summarises the most recent decisions of the European Court of Human Rights, the Court of the European Union and also carries articles by prominent European human rights experts. Published quarterly and focusing on cases most relevant to the Western Balkans region, the bulletin is distributed to judges, prosecutors, legal practitioners and civil society organisations in Serbia, Montenegro and Bosnia and Herzegovina. Capacity building with Serbia’s Office of the Commissioner for the Protection of Equality The Office of the Commissioner for the Protection of Equality (OCPE) plays a vital role in Serbia. It is the primary independent state agency responsible for the prevention of discrimination and the securing of equality. Since it was established in 2009, the OCPE has dealt with more than 1000 complaints. Recognising the limited capacity of the OCPE and that its resources were extremely stretched, we developed this project to help with this growing demand. We work closely with the OCPE, providing expert support particularly with respect to victim representation in courts and improving its’ technical capacity, in order to support the agency fulfill its aims. Rule of Law and European Integration …in Serbia Established in 1999, the project brings together leading British lawyers and judges, as well as Serbia’s own specialists, including the Judicial Academy of Serbia. We work to build the country’s capacity to meet European human rights standards, influencing the incorporation and application of the European Convention on Human Rights in national law and domestic courts. We hope that our vital work in Serbia will support stability in the country and facilitate Serbian integration into Europe. …in Montenegro At a critical stage in the EU integration process, we work to assist Montenegro’s integration into Europe by accelerating the adoption of European human rights standards in law and practice and addressing key weaknesses in this process. We work together with the Judicial Training Centre of Montenegro, the Supreme Court of Montenegro and the Montenegrin NGO, CEDEM. This sustained long-term project was established in 1999. …in Bosnia and Herzegovina Launched in 2014, this project aims to build the capacity of the country to meet European human rights standards, support stability and facilitate integration into Europe. We do this by bringing together leading British lawyers and judges, as well as Bosnian specialists, to influence the incorporation and application of the European Convention on Human Rights in national law and domestic courts. We work closely with the judicial advisors and officers of the Constitutional Court of Bosnia and Herzegovina and the Court of Bosnia and Herzegovina. The return of an Afghan family under Dublin Regulations The Tarakhel family is an Afghan family with young children. After fleeing war torn Afghanistan, they made their way to Italy and then travelled on to Switzerland, searching for a better life. When in Switzerland, they claimed asylum. Switzerland tried to send the family back to Italy, relying on the Dublin II Regulations. These regulations form part of the European asylum system which sets out the criteria for identifying which Member State of the European Union is responsible for deciding a personsâ&#x20AC;&#x2122; asylum application. In a judgement passed down on 4 November 2014, the European Court of Human Rights held that returning the family to Italy without a guarantee that their fundamental rights would be respected and that they would benefit from appropriate conditions, such as proper housing, access to support and adequate healthcare, should they need it, would violate their human rights under the European Convention on Human Rights. The Court ruled that returning the family to Italy would breach Article 3 of the Convention, which prohibits inhuman and degrading treatment, if this were done without Switzerland first making sure that the Italian authorities would keep the family together and provide for them based on the needs of the young children. They said that safety in another European Member State could not simply be assumed. We intervened in this important case, along with ECRE (European Council on Refugees and Exiles) and Amnesty International, and the assistance of lawyers from across Europe. Asylum seekers are a particularly vulnerable and underprivileged group, in need of special protection. The Court restated its previous findings in M.S.S Belgium and Greece that protection of asylum seekers is even more important when children are involved. Inherent dignity of all underpins Supreme Court’s characterisation of the deprivation of liberty On 19 March 2014 the Supreme Court handed down a landmark decision in the case of P (by his litigation friend the Official Solicitor) (Appellant) v Cheshire West and Chester Council and another (Respondents); P and Q (by their litigation friend, the Official Solicitor) (Appellants) v Surrey County Council (Respondent)  UKSC 19. The first of the two joined cases concerns P, a 39-year-old man, who had been diagnosed with cerebral palsy and Down’s syndrome. He lacked the mental capacity to make decisions about his own welfare. His local council, Cheshire West and Chester Council, removed him from his mother’s home and placed him in the care of social services. The second case, P and Q, concerns two sisters who have learning disabilities and were taken into care when they were 16 and 15. P was placed with a foster mother, whom she was devoted to, and Q was in a residential care home. P never attempted to leave her foster mother, but it was accepted that should she have tried she would have been restrained. Q was sometimes physically restrained and given tranquilising medication. The cases focused on the definition of ‘deprivation of liberty’ and when safeguards need to be put in place to protect vulnerable adults. We submitted a third-party intervention in the case, represented by Leigh Day and Co. The Supreme Court ruling, in defining what constitutes a deprivation of liberty for the purposes of Article 5 of the European Convention on Human Rights, the right to liberty and security, is significant and was highly anticipated by organisations working in mental health. Should the arrangements made for vulnerable individuals constitute a deprivation of liberty, they would be subject to independent checks and require authorisation either from a court or through the deprivation of liberty safeguards (DOLS) as set out in the Mental Capacity Act 2005. Also significant is the fact that though the European Court of Human Rights has established general principles on how to interpret the meaning of Article 5, it has not yet decided a case in which the person without capacity appears content with their care placement and the placement was initially authorised by a court, as was the current case. The Supreme Court ruled that as P and Q were “under continuous supervision and was not free to leave” he was deprived of his liberty. They set out the parameters of what it means to be deprived of liberty, without making reference to disability. Instead, the definition centres on whether any action taken, or care provided, represents an intrusion and restriction on the life of the individual concerned. The Court recognised that in certain circumstances restraints may be employed to protect the best interests of the individual – but the decision confirms that even when done in good faith, an action can still constitute a deprivation of liberty. As Lady Hale put it ‘a gilded cage is still a cage’. The judgement was widely welcomed because it extended key human rights safeguards to a broader group of vulnerable people. The inherent dignity of all human beings, underpinned by the universal nature of human rights as protected by international mechanisms including the European Convention on Human Rights and the Convention on the Rights of People with Disabilities was central to the Court’s approach. What would be a deprivation of liberty for a non-disabled person is also a deprivation for a disabled person. Litigation The new year started by helping draft and finalise the intervention in the case of Tarakhel v Switzerland at the ECHR Grand Chamber which we submitted jointly with a consortium of other lawyers and with ECRE and Amnesty International. (see our section on strategic litigation) Later in the year I worked on the intervention submitted jointly with other NGO’s in the case of Sabalic v Croatia (still pending) which concerned an inadequate response by the Croatian authorities to a violent and discriminatory attack on a lesbian woman. This was followed by our joint intervention in FG v Sweden which concerned the proposed expulsion to Iran of a man who had converted to Christianity in Sweden. The end of the year saw us representing the applicants in JVL v Austria – where household servants trafficked from Dubai and Vienna and the pursuit of the perpetrators by the Austrian authorities was wholly inadequate. In the UK courts I worked on our third party intervention in Benkarbouche (thanks to Freshfields and Aidan O’Neill QC) which concerned domestic slavery in the Sudanese and Libyan embassies and the scope of state and diplomatic immunity. The Court of Appeal ruled in favour of the women in 2015 but leave has been sought by Her Majesty’s Government (as statutory interveners) to appeal the judgement to the Supreme Court. Policy work – EU Accession to European Convention on Human Rights, Reform of the European Court of Human Rights and improving perceptions in the UK Much of 2014 was spent working with colleagues at Amnesty and the International Commission of Jurists (ICJ) on the draft agreement on EU Accession to the ECHR: attending meetings in Brussels with the Presidency of the EU Council and with lawyers at the Commission and liaising with the Council of Europe. I delivered a presentation to the European Law Institute and the Bar European Group in February on this topic. The issue was referred to the Court of Justice of the European Union (CJEU) in the summer of 2013 and I was able to attend the 2 day hearing at the CJEU in May 2014. A very disappointing Opinion (Opinion 2/13) was delivered by the CJEU in December 2014 rejecting the agreement. This was a major setback, we are now having to rethink and re-work the whole accession process. Our contribution to the ongoing work on the reform of the European Court of Human Rights continued: writing position papers and attending intergovernmental meetings in Strasbourg throughout the year and attended a major intergovernmental Conference in Oslo in April. I was also a participant at the meetings in Strasbourg in November, which were held to bring together key court users (litigators) for discussions with the judges and senior members of the registry about the technical problems that arise in litigation. I was a speaker at a conference in Liverpool which attempted to find both a diagnosis and a cure for the current wave of anti-ECHR media and political coverage in the UK and was an invited contributor to the EU Commission’s major meeting in Brussels in December on Citizens rights and the Charter of Fundamental Rights (grateful thanks to the ongoing support of the Sigrid Rausing Trust for this work). I am a regular contributor to journals and to projects organised by other NGO’s in Europe and value the connected network of human rights protection this reinforces. Balkans It is always a privilege to contribute to all aspects of the work of the AIRE Centre Balkans team promoting the Rule of Law in general, and the implementation of the ECHR in particular, throughout the region. I analyse judgements and write case comments for the quarterly bulletin, and prepare and deliver training in Serbia, Montenegro and Bosnia/ Herzegovina particularly on both the criminal and civil limbs of Article 6 (the right to a fair trial) and their intersection with other provisions of the Convention. I also contribute to the development of the database by writing factual scenarios and handbooks and was honoured to be a speaker at the first Regional Rule of Law Forum in Montenegro in March 2014 (see our Balkans section). Biomedicine and Mental Health Working with the Council of Europe Committee of the Convention on Biomedicine and Human Rights on the drafting of the new protocol on the involuntary placement and treatment of persons with impaired mental capacity, I also spoke on this topic at a seminar in Belgrade and participated in a seminar in London. 21 Children I continue our work on promoting the rights of children under the European Convention on Human Rights and other international instruments including participating as an expert for 18 months at the Council of Europe working group on the relocation of children which culminated in the adoption of the Resolution on the Relocation of Children after the Breakdown of Parental Relationships. I delivered the Annual Child Law lecture at the University of Cork on “Children before the two European Courts” and contributed to the cross border seminar at the European Commission in London on comparative practice in family law. At the end of the year we prepared a funding bid to the European Commission to work with partners in three other countries on the situation of separated children in judicial proceedings. We are awaiting the outcome of this application. Criminal Justice I continue to work as a member of LEAP (Legal Experts Advisory Panel on EU criminal law convened by Fair Trials International) and attended a number of their meetings. I also participated in the Balance of Competences meeting on cross border criminal justice held at the British Embassy in Brussels. I regularly teach different aspects of the criminal limb of Article 6 of the ECHR, as well as the legality of detention under Article 5 (the right to liberty and security) and the prohibition on torture and inhuman and degrading treatment found in Article 3 in the Balkans and elsewhere in Europe. Civil Justice I have conducted training for judges in the Balkans on the civil limb of Article 6 of the ECHR and for judges and public officials for the Academy of European law in Strasbourg on recent developments in this field. Council of Europe PACE / Vaclav Havel Human Rights award I continue to sit as a member of the Panel which awards the Vaclav Havel / Council of Europe Human Rights Award each year. The second annual prize, which honours outstanding civil society action in defence of human rights, was awarded to Anar Mammadli. 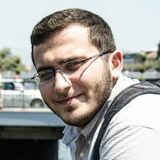 Anar is the founder and chairperson of an influential organisation in Azerbaijan dedicated to observing elections. Asylum As well as the litigation mentioned above I have also been an invited speaker at several conferences on European asylum law including for EDAL (The European Database on Asylum Law) and have worked with both ECRE and the ICJ on the development of their European asylum policies and litigation strategies. I have conducted training for judges (including the UK Upper Tribunal), public officials, lawyers and NGO’s in several jurisdictions including speaking at the Academy of European Law’s Annual Asylum Conference. I took a group of interns to hearings at the CJEU (the Shepherd case concerning a US soldier seeking asylum on the basis of having been obliged to participate in war crimes in Iraq) and at the ECtHR (the FG v Sweden case mentioned above). We were honoured to be welcomed in Luxembourg by AG Eleanor Sharpston and in Strasbourg by Judge Ledi Bianku. I spent some time assisting the joint Council of Europe HELP / UNHCR project on the design and content of the new HELP programme on asylum and the ECHR. AIRE USA I continue to work closely with AIRE USA. I met the USA entity keeping our US alumni connected on several occasions in San Francisco and New York City with benefactors and our US alumni (who now number close to a 100) for both formal and informal events and regularly visit the Law Schools who have been sending us outstanding interns each year (Columbia, University of Michigan and Georgetown) to give talks and interview internship candidates. We are grateful to the Board of AIRE USA and particularly to its chair Sue Marks, for their ongoing support for our work. AIRE USA is registered as a not-for-profit entity and US taxpayers can make tax deductible donations to support it. We were deeply saddened by the death in 2014 of Jon Kouba of the University of Michigan who personally supported the stipends of many of our University of Michigan interns. My work at The AIRE Centre has always focused on families and children and on the most vulnerable, marginalised and excluded members of our societies. We strive to provide them with the best possible legal advice and representation and have been fortunate in the quality and dedication of the lawyers who have worked with us or who have generously put their talents at our disposal, as well as for the excellent collaboration we have enjoyed with other NGOs. And 2013 – 2014 continued to build on this. I look forward to continuing this great work well into the next year, decade and beyond. The AIRE Centre Internship Programme Since we opened our doors in 1993, we have been committed to working with law students and young graduates who are keen to work in human rights. Every year we take on between 20 and 30 young legal professionals for four month internships. This unique and dynamic internship allows us to train up and coming legal professionals who support our advice line work. Interns are involved in all aspects of advice work from taking the initial inquiries to drafting the advices that are then approved by supervising staff. Hardworking, passionate young people, committed to social justice – they are integral to all our work. I applied for several internships in the autumn, however it was the inspiration, variety and level of responsibility offered by the AIRE centre that led to me turning down firm offers simply for an invitation to interview from AIRE. My time at the AIRE centre has by far exceeded my expectations – I have been honoured at the responsibility I have been given and at the supportive and approachable backdrop the team at the AIRE Centre provide. I have developed a range of legal skills from drafting skeleton arguments and letters of advice, to the administrative process behind bringing cases to court. I have also been tasked with drafting a monitoring report on the UK’s fulfilment of its trafficking obligations under EU law, providing valuable insight into how the UK’s international commitments can be used to advocate rights-based policy. In addition I have been given access to numerous opportunities to further increase my knowledge and experience in this area; from invitations to lectures and roundtable discussions with leading practitioners in the field; to alerts about campaigns and events; to an invitation to a hearing at the European Court of Human Rights to observe AIRE’s intervention in a case. It goes without saying that all of the above have provided me with invaluable insight into the practicalities of life within a legal charity, it has also taught me about the challenges such organisations face and exposed me to the realities of life within this sector enabling me to identify and develop the skills I will need to succeed in this area. Halfway through my internship and I feel that I have learned more about the practical side of a career in human rights than in my entire academic life; the inspiration and experience I have been exposed to has definitely affirmed my belief that this is the field for me. Where They Are Now The summer after I got my degree in law - it was 1999 - I had the chance to do an internship at The AIRE Centre with the support of the Leonardo project. It was a great experience that influenced my entire career. Answering letters requiring advice on EU law, helping to draft the observations for an Italian case pending at the European Court of Human Rights and getting my first involvement in Refugee law. I learned so much from Nuala Mole, Navi Ahluwalia and all the staff and interns. When I came back to Italy I decided to learn more. During my training to become a lawyer I took Maria Christina Romano an advanced course in judicial cooperation in Europe, worked at the Chamber for human rights for Intern (1999) Bosnia and Herzegovina in Sarajevo, completed a Masters degree in Human rights, did another internship at the European Council for Refugees and Exiles (ECRE) and took on a role in a NGO assisting asylum seekers in Milan in 2002. I am now a lawyer in Milan, working in asylum and immigration cases. I worked for ten years in a law firm and in 2014 established my own practice in asylum and immigration. I am still an active member and Italian national coordinator of the ELENA network and I give lectures in the asylum field to lawyers and social workers at conferences and courses. I am extremely grateful to The AIRE Centre for giving me my first opportunity to learn about this area of law. It has shaped my entire career. We were sad to say goodbye to Ellie Sibley, who went on to take up pupillage at Field Court Chambers and Rebecca Collins, who is at the Great Initiative. Reflections on 20 years of European Law in Practice: The AIRE Centre turns 20 On 21 November 2013, we celebrated our 20th birthday with a beautiful celebration at the October Gallery. Chaired by The Hon. Mr. Justice Tugendhat, the evening hosted an eminent line-up of speakers, including the Deputy President of The Supreme Court, The Right Hon. Baroness Hale of Richmond; Eleanor Sharpston QC, Advocate General at the Court of Justice of the European Union and Judge Ledi Bianku of the European Court of Human Rights. Marking two decades is no short order. In preparation for the night Judge Bianku asked his assistant to make a list of all the European Court of Human Rights cases that we had been involved in, and exclaimed in his speech, “It was a VERY long list”. Eleanor Sharpston QC added that she was disappointed never to have acted on our behalf, as “[The AIRE Centre] were always on the side that she wanted to win”. We are incredibly grateful for the kind words from our distinguished speakers, the dedicated support from the 200 guests in attendance and all those who sent us birthday wishes and congratulations through twitter. Concluding the speeches Nuala thanked the many talented and dedicated partners The AIRE Centre has been fortunate enough to work with throughout the years; the lawyers, academics, NGOs and everyone else who have enabled us to provide the best possible legal advice and representation to those in need. As Judge Bianku beautifully put it, “When AIRE is around you can breathe European human rights law”. Women on the Move’s Champion of the Year! On 6 March 2014 we became the proud recipient of the Champion Award from The Women on the Move Awards. The award honours individuals and organisations who strive to empower migrant and refugee women. We were incredibly grateful to the organisers for their recognition of our work and promise to continue working tirelessly, along with the migrant women we represent, to champion rights under European law! London Legal Walk In May we took part in the 10th annual London Legal Walk organised by the London Legal Support Trust. The 10km walk saw more than 10,000 walkers proceed through London, on foot, to raise funds for charities and law centres providing advice to some of London’s most vulnerable people. The AIRE Centre was really pleased and extremely grateful to be walking with our friends. Thank you so much to all our friends who joined us in the walk and for their amazing Legal Walk fundraising efforts! Shortlisted for the Halsbury Legal Awards Law in the Community Award! Call to Action Vulnerable and marginalised migrants have had a hard time in 2014. Shifts in the political and economic climate of the UK have led to hostile immigration policies, budget tightening and negative media campaigns. Legislative changes and the reduced availability of legal aid further restrict access to justice for many and the run up to the 2015 election is likely to see efforts to introduce such measures increase and threats to pull out of the European Convention on Human Rights could undermine fundamental protections for all. To protect migrantâ&#x20AC;&#x2122;s rights it is essential that the negative voices in the immigration debate are challenged. Throughout Britainâ&#x20AC;&#x2122;s history migration has had an immensely positive impact on enriching our culture and diversifying our society. The AIRE Centre is proud to stand together with the many other dedicated organisations, law firms, advice centres, chambers and individuals championing human rights, protecting migrantâ&#x20AC;&#x2122;s rights and ensuring access to justice, for all. But there is still more work to be done. Approximately two million EU migrants in the UK will need our help in 2015. They might be survivors of domestic violence or homeless, discriminated against because they are Roma, kept in immigration detention or victims of human trafficking. Help us continue our vital work in 2015. EVERY LITTLE BIT COUNTS! 2013 and 2014 saw a challenging economic climate. We have had to work harder than ever to raise funds for our work to help vulnerable people access justice. How we raise income is a key priority. We are therefore immensely grateful to our dedicated supporters, the foundations and individual donors, who have helped us continue our vital work. Income Overall, the charity’s income grew from £606,137 in 2012-13 to £789,177 in 2013-14. The accounts show that we remain reliant on restricted funds for our work (92% of income was restricted in 2013-14 compared to 96% in the prior year). Our priority remains increasing unrestricted income from voluntary sources and targeting funders to cover core costs. Expenditure During 2013/14, 90 pence in every £1 of total expenditure was spent on direct costs towards providing free legal advice service and litigation, training for the voluntary sector and law practitioners, and policy work that aims to influence decision and policy makers both in the UK and in Brussels. The remaining 10 pence in every £1 was spent to support our services, as well as IT and premises. Charitable expenditure increased during the year by £131,669 to £679,819 (2013: £548,150). AB Charitable Trust, Allen and Overy Foundation, Ashurst, Baring Foundation, BBC Radio 4, Centre for Democracy and Human Rights in Montenegro, Comic Relief, Council of Europe, EC Social Security, European Programme for Integration & Migration, Evan Cornish Foundation, Esmée Fairbairn Foundation, EU Agency for Fundamental Rights, Freshfields Bruckhaus Deringer, Garden Court Chambers, Hadley Trust, ICI Family Reunification, Joseph Rowntree Charitable Trust, London Legal Support Trust, Open Society Foundations, Pilgrim Trust, Ptarmigan Trust, Strategic Legal Fund, Sigrid Rausing Trust, Trust for London, Unbound Philanthropy, Zennström Philanthropies. We would like to extend a heartfelt thank you to all the Barristers and Solicitors of the following Chambers and Firms, who kindly provided their services to the AIRE Centre pro bono in the past year Ashurst, Bindmans LLP, Birnbergs, Blackstone Chambers, Clifford Chance, Dawson Cornwell, Deighton Pierce Glynn, Doughty Street Chambers, Duncan Lewis Solicitors, Freshfields Bruckhaus Deringer, Garden Court Chambers, Garden Court North Chambers, International Senior Lawyers Project UK, Lamb Buildings, Landmark Chambers, Lewis Silkin LLP, Linklaters LLP, Leigh Day, Luqmani Thomson, Matrix Chambers, Mischon de Reya, Monkton Chambers, Renaissance Chambers, Simmons& Simmons, Skadden LLP, Wilsons LLP, 3 Hare Court. We would also like to thank our generous Friends of The AIRE Centre for their continuous support towards our common goals and mission.